A single jackpot-winning ticket in Saturday's $570 million Powerball drawing was sold in New Hampshire, the lottery game said on its website. The big win comes a day after someone who bought a ticket in Florida won a $450 million Mega Millions jackpot. The numbers in Saturday's Powerball drawing are 12-29-30-33-61 with a Powerball of 26. 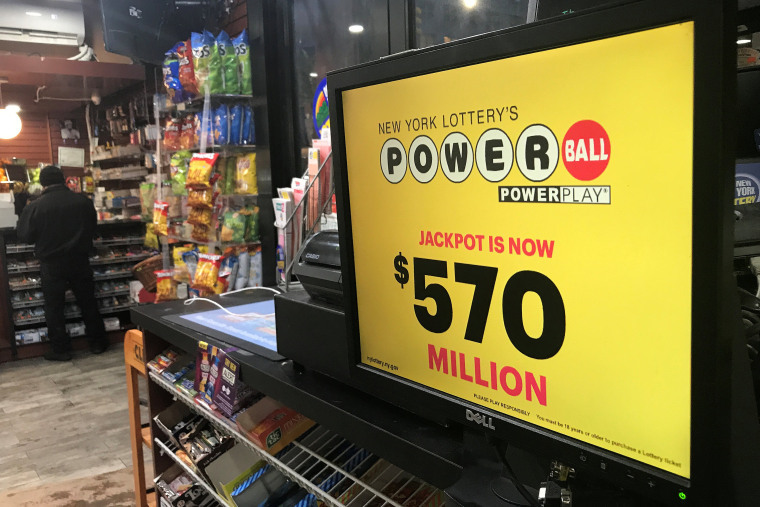 The $570 million estimated Powerball jackpot was the fifth-largest in the game's history, lottery officials have said. The odds of winning the Powerball jackpot are estimated at 1 in 292.2 million, while the odds of being struck by lightning in the United States in a given year are about 1 in 1 million. In Friday’s $450 million Mega Millions drawing, a single jackpot-winning ticket was sold in Florida. The winner of that prize has not yet come forward. The odds of winning the jackpot in that game are even longer after recent changes: Around 1 in 302.6 million.